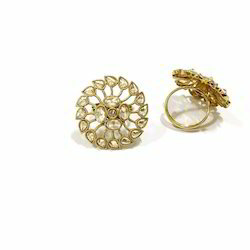 Leading Manufacturer of fashion moti earrings, designer earring, designer pink stone earring and matt gold earrings from Mumbai. 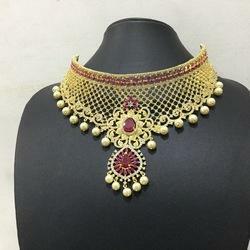 Our product range includes a wide range of wedding gold necklace set, gold plated necklace set, designer kundan choker sets, designer necklace sets and uncut necklace set. 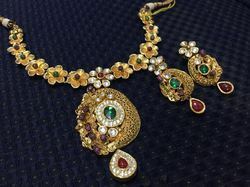 Providing you the best range of designer moti pendant set, antique pendant set and designer pendant set with effective & timely delivery. 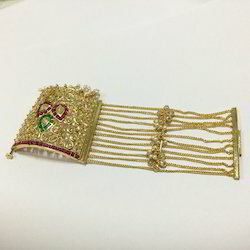 Leading Manufacturer of gold kundan choker necklace, bridal real kundan sets, designer kundan choker sets, kundan choker sets and wedding kundan choker sets from Mumbai. 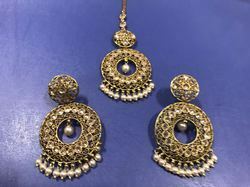 Leading Manufacturer of gp mehandi polish earring tikka set, earring tikka set, golden earring tikka set and mehandi polish moti earring tikka set from Mumbai. Offering you a complete choice of products which include antique damini. 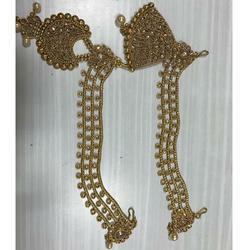 We are a leading Manufacturer of antique bracelet from Mumbai, India.